Today I am bringing you guys some more polishes by Milani. This time it will be some colors fom their "High Speed Fast Dry" line. White on the Spot has been fast becoming my go-to white base polish. When I need to do a nail art that requires white "underwear" the more important thing to me is that the polish be a 1-coater and be fast drying. This polish shines in both of those departments, cannot complain at all! Oh and it also works extremely well as a white stamping polish! Black Swift is the black equivalent of the previous White polish shown above. 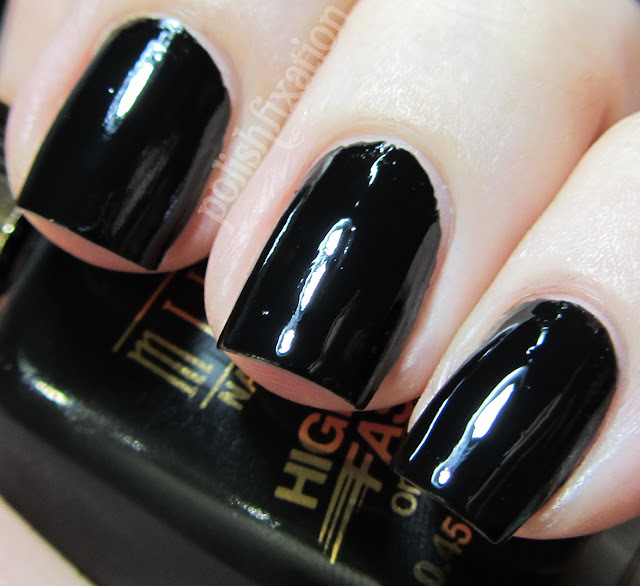 It is a 1-coat black that really does dry fast, and that is what I look for in a black polish. I have successfully also used this as a stamping polish. Rapid Cherry: I love this shade of cherry red. I did need two coats of this one to smooth out all streakyness but it did dry fast even with the use of two coats. Overall nice red polish if you need one on the go! Fast Fuchsia is an overall pretty fuchsia color that does dry very fast and only needed one coat for opacity. 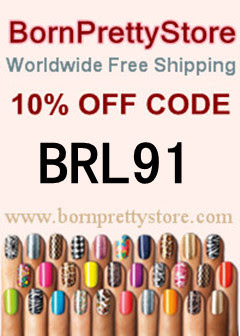 These polishes do exactly what they are advertised to do so I cannot complain! The application was nice, and it's a nice color. Overall I am very impressed with the fast drying polishes so far! Milani did a great job with them! Especially for me, the black and the white, those two colors are so important to me and there are not enough good, fast drying, one coat black/white polishes out there. It is nice to know that these fit the bill in those categories and are easily accessible and affordable! Rapid Cherry is really pretty! Wow, It's hard to find a 1 coat white thats not all streaky.